San Leandro, CA - Traditionally, motorcycle saddlebags and seats are manufactured using leather and this is true with most of La Rosa Designs' product line. A few years ago Don La Rosa decided to broaden his product line by introducing canvas into his manufacturing process so he could offer a new line of canvas seats and bags. 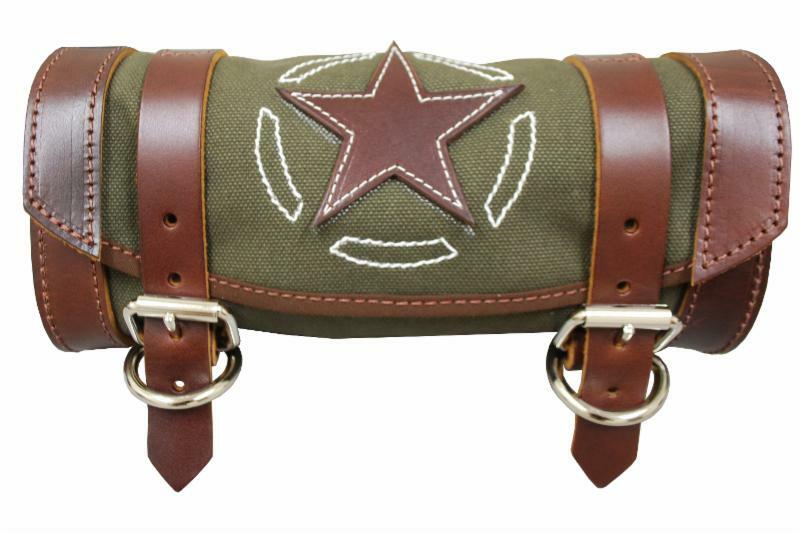 A great example of the results is the La Rosa Design eye catching Army Green Canvas with Brown Leather Star Collection. Items include Saddle Bags, Front Fork Tool Bag and a Police Style Saddle Seat with matching Passenger Pillion Pad. The whole collection is made with quality heavy weight military grade canvas and are designed to fit all years H-D Softail models. 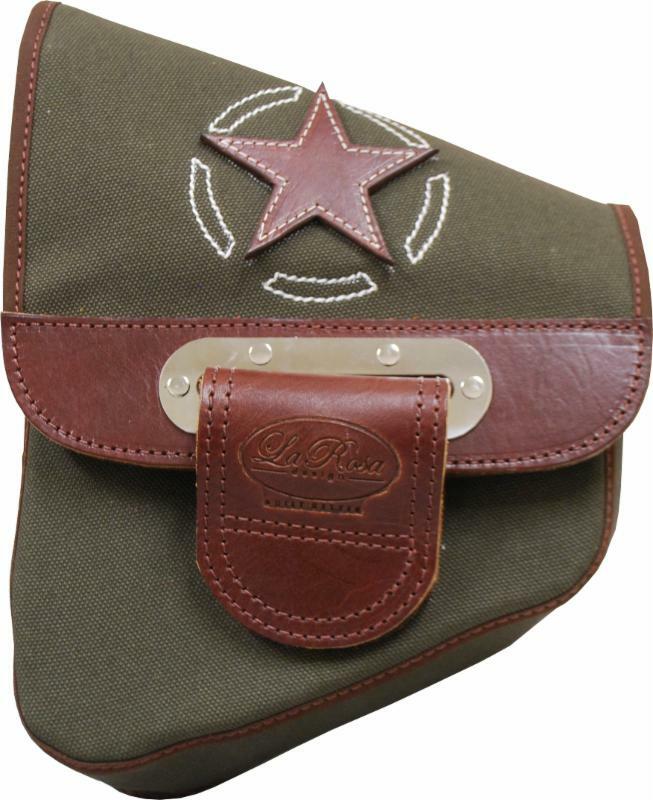 La Rosa Army Green Canvas with Brown Leather Star Custom 16" Classic Police Solo Seat ($264.99) measures 16" by 17". It features a visible black seat pan, uses ultra comfortable high density foam filling and is covered with 24oz, water proof military grade canvas. Each seat comes with a front mount t-bar with swivel bracket and a set of 2" or 3" left and right torsion springs and fits all Softail models (Note: the La Rosa Design Solo Seat Conversion Kit is required for some applications). 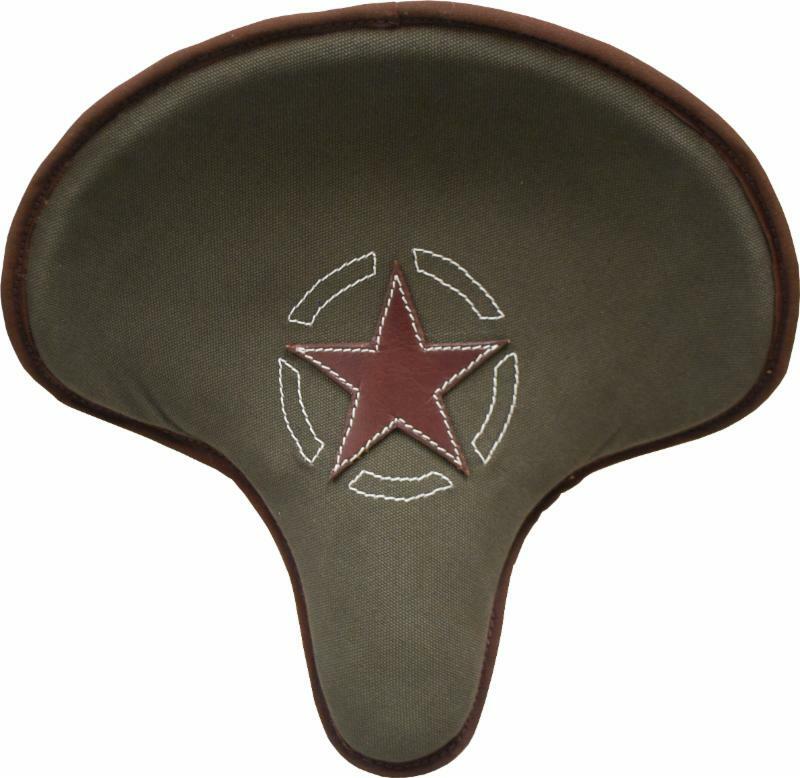 The matching Rear Passenger Pillion Pad ($99.99) is made of the same perfect Army Green Canvas and incorporates the identical foam as the solo spring seat. This pad features a firm foundation that enhances both its comfort and durability. It mounts to any rear fender with six suction cups for universal fitment. As with all of La Rosa's products, the whole canvas line is 100% Made in the USA. The above items can be purchased individually or in discounted combo sets.